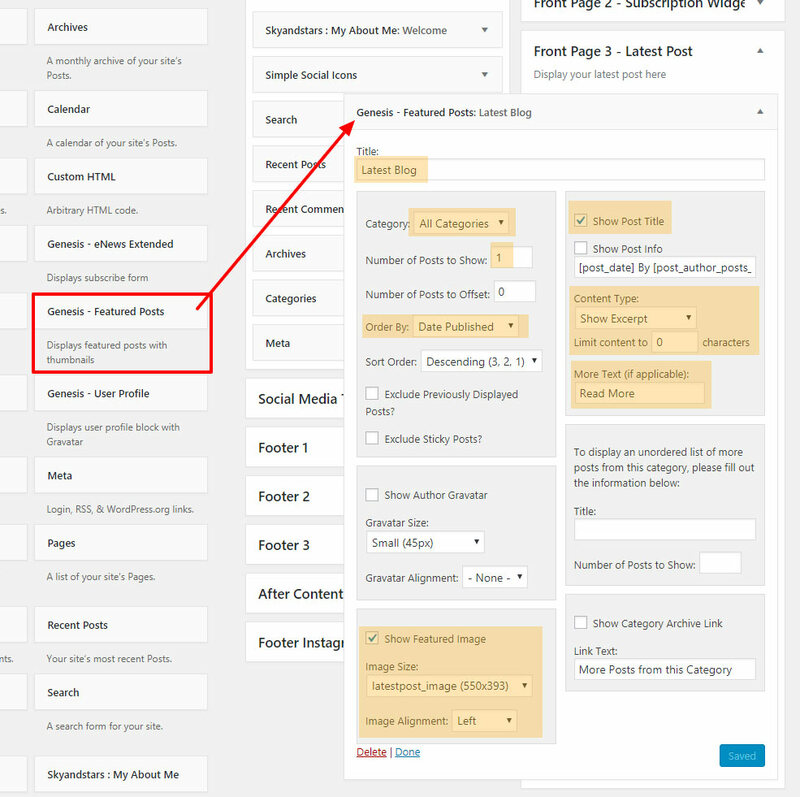 *To arrange your front page content, you need to activate all required plugins first. Go to Appearance > Widget to rearrange your website front page widgets. Landscape photo with the minimum width : 1100px and minimum height : 550px. Go to Appearance > Widget. Find “Genesis Responsive Slider” widget and add it to “Slider Widget” panel. Install Genesis eNews Extended plugin first. Genesis eNews widget works with Feedburner, MailChimp, Aweber, FeedBlitz and Constant Contact, but it should work with almost all services. 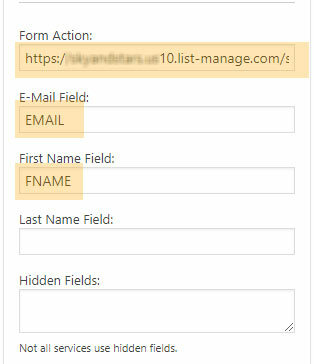 For this example, I am using MailChimp.com. Open a new tab (don’t close your WordPress admin tab). Create your mailchimp account. Go to Lists, select the list you want to connect or create a new one. On the list page, select Signup forms. 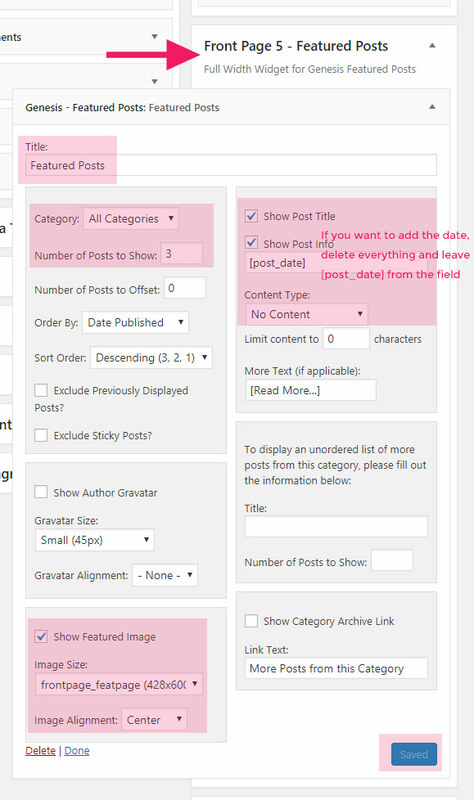 Choose “Embedded forms” and click select. Go back to your WordPress admin tab. On your Genesis eNews widget, look for “Form Action“. Paste the code you copied to form action input field. Please read the installation tutorial for each service at the official plugin website. click here. Add Genesis Featured Posts to “Front page 3” panel. This widget is optional. If you don’t have affiliate links you can skip this widget. Or you can change it into your Instagram feed. To add shop the look widget, you need to get the copy from your affiliate company and paste the code to WordPress widget. To add Shop the Look Widget. Go to Appearance > Widget. Change the setting to display excerpt only. Select “autoreadmore” from the Featured image size list. Select “Left” for the alignment. To add Instagram Feed, click here.